2 Beds 2 Baths 1,441 Sq. ft. Location Location! 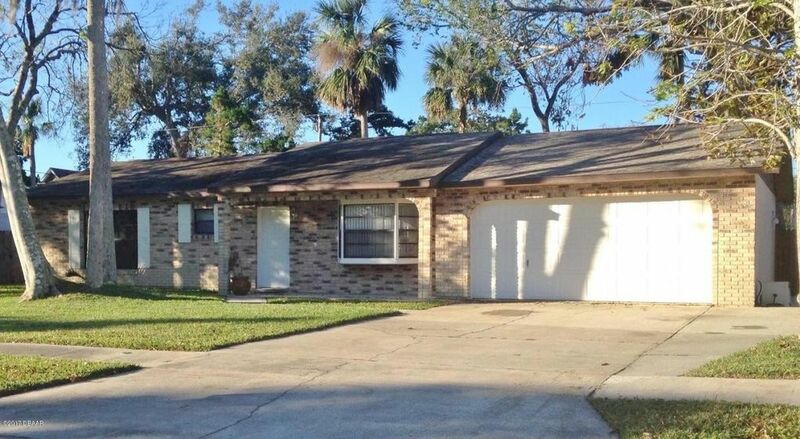 Great central South Daytona home in sought after Big Tree Village! Welcoming front porch! Big livng room with vaulted ceiling and bay window! Kitchen with breakfast bar open to dining/family room! Bonus room/den! Master bedroom w/walk-in closet! Inside laundry! New carpet in living & family/dining room! New flooring in kitchen, bonus and laundry room! LARGE over 500 sq ft 2 car garage! Big fenced yard! No HOA! This is the one you waiting for! See it now before its too late!